Realtor.com operator Move Inc. is making adjustments to two core agent and broker ad products, including a price increase for exclusive leads generated when homebuyers type their contact info into forms that run next to some listings on the site. Showcase Listing Enhancements, which allow agents and brokers to ensure their name, branding and contact info shows up next to their realtor.com listings. Connection for Co-Brokerage leads will see a price increase and a modification in the way it’s sold sometime this summer, Move Chief Financial Officer Rachel Glaser said during a presentation at Move’s investor and analyst day on May 22 (see presentation at approximately 2 hours, 9 minutes in). Move is also looking at increasing the prices for Showcase Listing Enhancements, Glaser said during the meeting. Since launching the product in 2011, Move has provided Connection for Co-Brokerage leads on an exclusive basis, meaning that each time a consumer provides their contact info on a lead form, that lead goes to just one agent. Screen shot of a property detail page on realtor.com featuring a Connection for Co-Brokerage lead form. The blue-tinted form on the right directs consumers to brokerages or agents who buy Connection ads. Within the next few months, Move will begin offering brokers and agents the option to continue receiving Connection for Co-Brokerage leads on an exclusive basis at an increased price, or to pay less and receive Connection leads that are also sent to at least one other broker or agent. Move sells Connection for Co-Brokerage leads by slices of cities and ZIP codes, guaranteeing a certain return on investment to brokers and agents per slot. Move opens up a new slot in a ZIP code when it can guarantee a minimum number of leads in that slot, Glaser said. Prices for Connection for Co-Brokerage are currently segmented into eight price tiers that are keyed to home prices and realtor.com traffic. Monetization for each Connection for Co-Brokerage slot could be two to three times for what it is now when the new pricing feature is fully rolled out, possibly in the next six months, Glaser said. While agents and brokers’ lead volume might be similar with both versions of the product, lead conversion rate will likely be lower for the nonexclusive version, Glaser said. Accordingly, that version will be less expensive than the exclusive one. This change to Connection for Co-Brokerage will bring it in line with similar agent ad products on Zillow and Trulia, which feature competing agent branding and provide lead forms that connect consumers with up to three other agents on a listing. Screen shot showing agent ads next to a listing on Zillow. One agent is the listing agent. By default, Zillow sends a connection to just one agent, but consumers can select up to two others (or three if the listing agent has claimed the listing) to connect with. Trulia connects consumers to a default of up to three agents (or four if the listing agent has claimed the listing). Consumers can deselect agents and connect with just one or two if they choose. Screen shot showing agent ads next to a listing on Trulia. Realtor.com’s Connection for Co-Brokerage leads also differs from Zillow and Trulia’s products by giving brokerages the ability to exclude the ads by opting out of the program. Brokerages, but not agents, can opt out of the Connection for Co-Brokerage lead forms on an all-or-nothing basis. As an incentive to participate, brokerages that agree to allow Connection for Co-Brokerage lead forms to appear next to their listings receive free perks like additional photos, links to open house information, the ability to enhance property detail descriptions. If a brokerage opts out of Connection for Co-Brokerage, its listings on realtor.com are limited to four photos rather than up to 36, for example. Splitting Connection for Co-Brokerage into an exclusive version and a nonexclusive version will provide some additional supply for the ad product, which is in high demand, Glaser said. Approximately 90 percent of the homes for sale in the U.S. fall within 12,000 ZIP codes, Glaser said on Move’s first-quarter earnings call with investors. Of the 10,000 ZIP codes Connection for Co-Brokerage is currently sold in, she said, it’s sold out, with waiting lists, in nearly 7,500. Connection for Co-Brokerage inventory will also rise as traffic to realtor.com because contacts to agents will correspondingly go up, Glaser said. 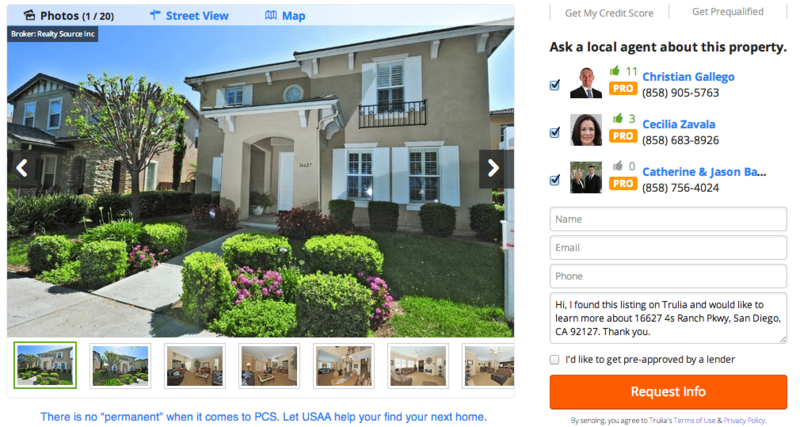 By paying to enhance their listings on realtor.com with Showcase Listing Enhancements, brokerages and agents ensure that their branding, contact info, links and lead forms show up on their realtor.com listings. When brokers and agents pay for Showcase Listing Enhancements, they prevent Connection for Co-Brokerage lead forms that generate business for competitors’ agents from appearing next to their listing. If brokers allow the lead forms to appear next to their listings, they get some of the perks that they would otherwise have to pay for withShowcase Listing Enhancements at no charge. 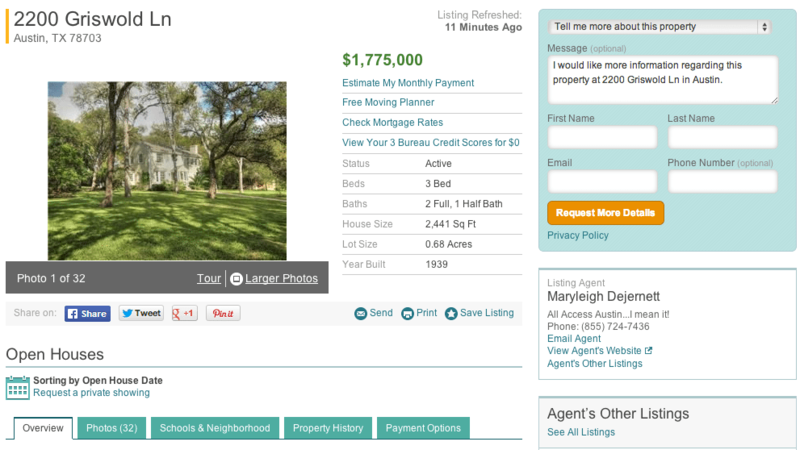 Screen shot of a property detail page on realtor.com with Showcase Listing Enhancements. See a more detailed breakdown of enhanced listings versus basic listings on realtor.com here. Both products give brokerages and agents a way to enhance their listings on realtor.com with additional photos, links to open house information, the ability to edit property details and more. As the number of realtor.com listings grows, and as a smaller proportion of those listings are “enhanced,” there’s more room for Connection for Co-Brokerage inventory to grow. Realtor.com’s historical listing count — a trailing 12-month count of single-family homes, condos, townhomes or co-ops listed on realtor.com — was up 10 percent from a year ago during the first quarter. In the first quarter of 2014, 42 percent of Move’s listings were upgraded with Showcase Listing Enhancements, Glaser revealed on Move’s first-quarter earnings call. That’s down from 45 percent in March 2013, in part due to the growth in the number of listings on realtor.com. 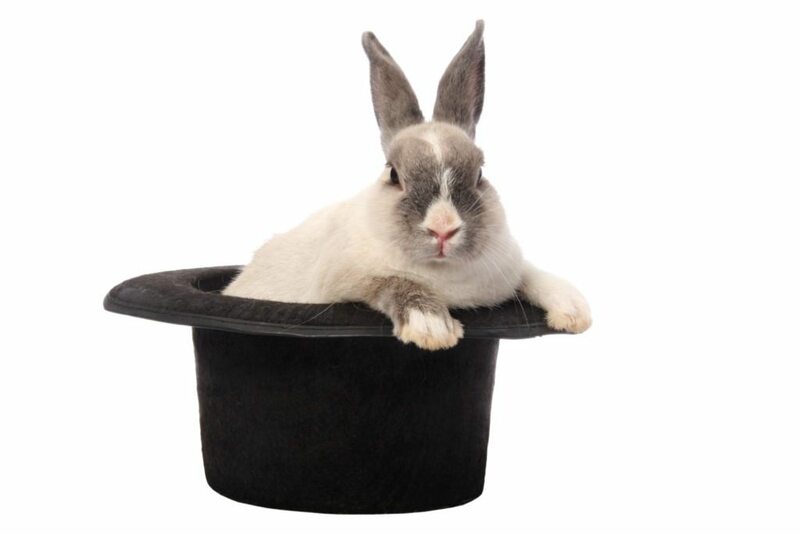 Since brokerages can always opt out of allowing Connection for Co-Brokerage ads on their listings, not every realtor.com listing that’s not enhanced is necessarily available to generate leads for Connection for Co-Brokerage. But Glaser said that as the percentage of listings that are enhanced declined, the number of listings that could display Connection for Co-Brokerage lead forms also increased. Showcased properties on realtor.com are highlighted in yellow on search results pages and, if the broker enhanced the listing, include broker branding. Like Connection for Co-Brokerage leads, Showcase Listing Enhancements leads are exclusive. Inventory can’t be raised on the product, however, because its value is tied to being an exclusive product, Glaser said. Move revamped pricing for Showcase Listing Enhancements last year. Prices are currently determined by home prices at the metro level and are sold to brokers and agents by different amounts of listings. Unlike Connection for Co-Brokerage, the “inventory” of Showcase Listing Enhancements doesn’t rise with increases in traffic, Glaser said. Based on its value as an exclusive product, Move is considering a raise in Showcase Listing Enhancements prices, Glaser said. Move is making the changes to Connection for Co-Brokerage and Showcase Listing Enhancements in part because of increased demand for them, and growing consumer traffic to realtor.com, Glaser said. Both products have a renewal rate of greater than 85 percent, Glaser said. During the first quarter, Move saw revenue from Connection for Co-Brokerage leads grow 46 percent from a year ago, and several large brokerages renewed their Showcase Listing Enhancements contracts, Glaser said. Both products also become more attractive with increased exposure as traffic to realtor.com grows thanks to Move’s first-ever national TV marketing campaign launched on Feb. 17, Berkowitz said. While Showcase Listing Enhancements inventory doesn’t grow with increasing realtor.com traffic, more views of listings on realtor.com make it a more valuable product. Move’s marketing campaign promotes the accuracy and freshness of realtor.com listings and helped realtor.com attract 33 million unique visitors in March, the most of any month in the portal’s 20-year history. ComScore data shows realtor.com attracted 22.1 million mobile and desktop unique visitors in April, second to Zillow’s 45.1 million. That traffic is especially pertinent to realtor.com’s bottom line, Berkowitz said on Move’s first-quarter earnings call, because more than 90 percent of realtor.com’s page views are of for-sale listings, where Connection for Co-Brokerage and Showcase Listing Enhancements live. In February, Move announced it would double its consumer marketing budget in 2014. Though Move didn’t name an amount, Mitch Bartlett, an analyst with Craig-Hallum Capital Group, who covers Move, estimates that it stands around $25 million. Thanks to the success it saw in the first quarter, Berkowitz says Move is accelerating its marketing spend in the second quarter. On Monday, Move released the first TV ads of its new “#AccuracyMatters” campaign. “Doghouse Architects,” one of two new realtor.com TV spots released Monday as part of its new “Accuracy Matters” marketing campaign. Beginning in the third quarter, the National Association of Realtors will match Move’s marketing spend on a joint campaign that promotes realtor.com to consumers, Berkowitz said. In addition to the coming changes in Connection for Co-Brokerage and Showcase Listing Enhancements, realtor.com will continue to roll out “Direct agent” ads , which it tested in the first quarter, Berkowitz said. Screen shot of realtor.com’s “peel back” agent advertising product called “Digital agent” that Move will use more in the place of “Featured Agent” ads. Direct agent ads feature a “peel back” ad that provides an agent’s branding and contact info in the top right corner of the screen on a desktop computer on the search results page of realtor.com. 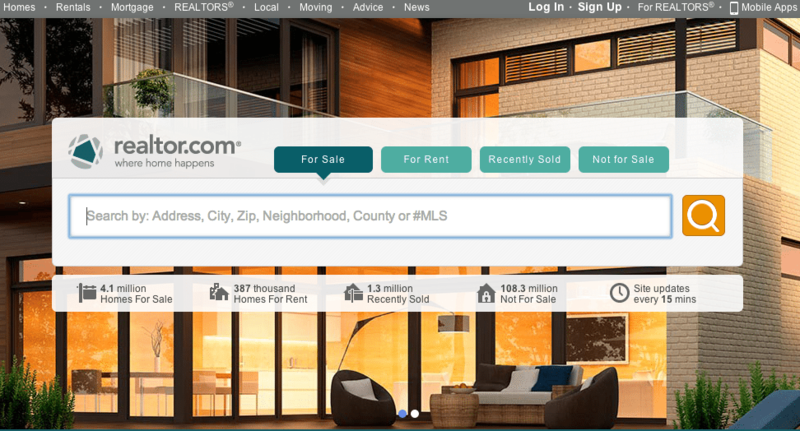 The product will replace some of realtor.com’s “Featured Agent” ads, which allow agents to brand realtor.com search results pages with display ads. Those display ads consume ad inventory that could be sold to national advertisers, Berkowitz said. The peel-back ads, however, allow realtor.com to keep the display ad inventory for national advertisers and open up new inventory for agent ads, he said.